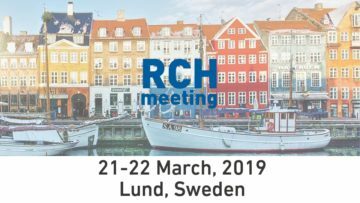 Comecer will be present at the Danish RCH Meeting 2019. Come meet us at this event taking place at the Grand Hotel Lund in Lund, Sweden (SE) on March 21 – 22, 2019. If you were waiting for an opportunity in Sweden and the Scandinavian region to see our automatic glove tester Speedy Glove this is a good occasion! Speedy Glove is a battery-powered tester that performs leak testing on gloves installed on isolators or RABS where a strict separation between the isolated area and the external environment is required. The system performs pressure decay integrity tests that comply with the requirements of ISO 14644-7 Annex E.5. 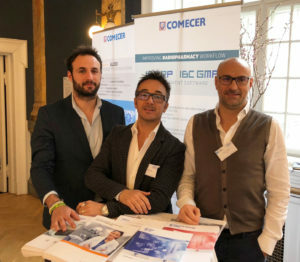 Of course, you will also be able to ask any questions to our experts on our wide product portfolio for radiopharma / nuclear medicine. Meet Daniele Bellofiore, Dario Locatelli and Diego Rizzato at our tabletop. They will be there to answer your questions and share the details of our references.